Whether you’re an established web developer or new to creating websites you may have thought you knew how to vertically align… for a minute. But don’t worry, it happens to us all. 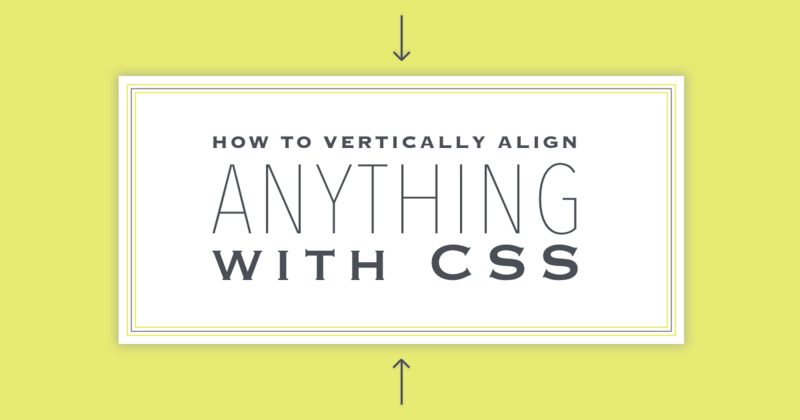 Here’s my three favorite ways to vertically align stuff in css. If you’ve been doing web development for a while you’re no doubt familiar with this approach. Before flexbox or css grid this was the only sure way to vertically align in css. Don’t let that fool you though, I still use it today. This is such an easy way to center something. This will center the immediate child of this element. If, there are five children inside this element and each of the children have two children. It will center only the five children (not the two nested inside). Aligning just one line of text? If you are simply trying to vertically align text inside some element it is much easier. All you need to do is give the text the same line-height as the container it’s in. For example, if the text is inside a button and the button is 32px tall. Just give the text a line-height of 32px and it will be vertically centered. I hope this helps you as you center things in CSS. Which method did you end up going with? Let me know.